As President of Shikatani Lacroix, Jean-Pierre Lacroix is strongly committed to design innovation. 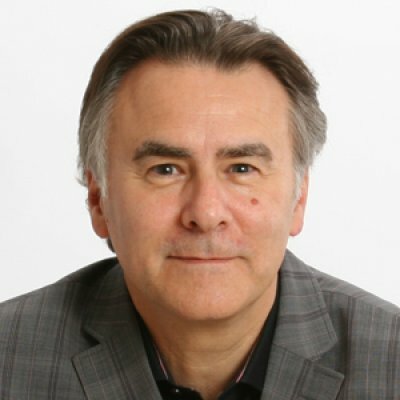 In addition to pioneering the successful firm, Jean-Pierre is also Past President of The Association of Registered Graphic Designers of Ontario, Past President of DIAC (Design Industry Advisory Committee), board member of SEGD (Society of Environmental Graphic Designers), as well as former Director of the Packaging Association of Canada. An accomplished and dynamic speaker, Jean-Pierre has lectured at numerous conferences across Canada, the U.S., and South America on the subjects of branding and design trends. His presentations have always received high praise for its content, energy, and take-away actionable information. Mr. Lacroix also wrote the book, Belonging Experiences: Designing Engaged Brands, and co-authored the book, The Business of Graphic Design: A Professional’s Handbook. Jean-Pierre delivered great content in a positive and entertaining way. His message and presentation style was extremely well received and much appreciated. Branding and design firm Shikatani Lacroix commissioned a study that examines how current trends are shaping consumer shopping behaviours. The study reveals the emotional connections consumers experience while shopping online versus in retail. Understanding these emotional connections is key to helping retailers guide their efforts and protect against sales leakage. The speed at which brands develop relationships and create impressions is accelerating as consumers make split-second purchasing decisions. Brands today are challenged to build meaningful relationships with consumers who are skeptical, overwhelmed and confused. By understanding how consumers effectively connect with brands, marketers can position their products to build brand loyalty and make the right first impression. Many marketing campaigns and tactically driven communications initiatives are failing to effectively connect with consumers. With the fragmentation of distribution channels, consumer confusion due to an abundance of choice, and the growth of social media as a customer game-changing tool, brands are challenged in growing market share and loyalty. This presentation will explore the dynamics impacting how consumers engage with brands, and examine an emerging trend that delivers measurable results.